Log in using subscription User Name and Password (Posted on bulletin board in LMC and on paper stands in Lab. Click on the dinosaur that you want to learn more about! 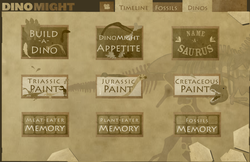 Choose from 9 different games to learn more about dinosaurs. Uncover all the missing Pterodactyl eggs when you play the game. Build dinosaurs with different heads, bodies and tails. Then explore the Dino Park. Dinosaur Coloring Pages Choose from more than 80 dinosaurs to color on your computer. 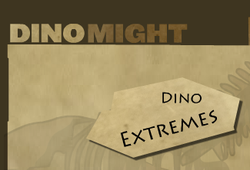 Dinosaur Database Get pictures and facts on dozens of dinosaurs. 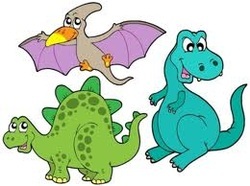 Dinosaur Facts and Fun Put a few dinosaurs in order from largest to smallest and learn a few facts along the way. Dinosaurs Find quick facts about these extinct creatures. Dinosaurs Quiz Answer eight questions about these prehistoric beasts. What is a Dinosaur? Learn all about the different dinosaurs that once roamed the Earth. You Dig Dig for dinosaurs bones in the dirt and learn some facts along the way.